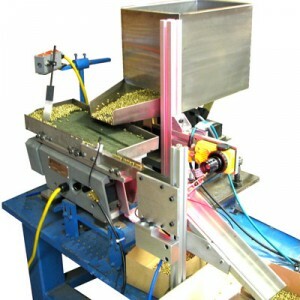 CDS Manufacturing designed and built this semiautomatic motor testing system. This twelve station, operator loaded test system, automatically runs compressor motors for a predetermined length of time. System controls gather information about the motors and indicate a passed or failed test to the operator using an alert beacon. Process Overview Operator loads motors onto 12 individual test stations. Motors are run for a predetermined time period. Motor data is gathered and analyzed. Operator alerted to motor failures.